Rachael moved from her hometown in the North East of England to London to pursue the MSc Cosmetic Science course at LCF. Thanks to the placement year, she landed straight into her first role at management level right after graduating in 2017. She’s currently working as an Account Manager at IMCD. Why did you decide you to pursue a career in cosmetic science? I’ve always enjoyed Chemistry, which I know some may find strange, but it just fascinates me. When I first decided to go to uni, I looked into Chemistry degrees but I was honestly shocked by the male to female ratio and I just knew that it wasn’t for me. I then looked into pharmacy, which seemed more appealing, but again, something wasn’t quite right. I remember seeing an ad promoting cosmetic scientist jobs and I knew instantly that this was what I had to do. I applied to LCF but I was declined because I was too late with my application, so I got a full-time job and decided to apply again next year, but I was declined again. I remained optimistic and did another year of full-time work and applied one more time. Finally, I was approved with the condition that I participated in a Chemistry summer school to prove I had what it took. Third time lucky! And why did you choose LCF? What attracted you about this university? "I chose LCF-UAL because of the university’s outstanding reputation and close industry links." At the time I applied, there were just two universities in the UK that offered this course. I chose LCF-UAL because of the university’s outstanding reputation and close industry links. I adore fashion and I’m particularly creative when developing new cosmetic formulae, so it just suited my personality. I was a little scared of moving from a small town to the capital city, mainly due to financial reasons, but I got a part-time job whilst I studied and I made it work. What did you enjoy the most about the MSc? The practical unit of decorative cosmetics. The whole class got to go wild in the lab and experiment with colour. We made lipsticks, foundations, eyeshadows… It was wonderful! Although this was a fun day for me, I would say long term I really enjoyed doing my masters year. It may have been the most stressful time of my life and yes, that summer I was hooked on espressos, but having that free reign to work solely on my own research was great. At the end of the day, I can turn around and say, “I discovered something that nobody else has” and that makes it all worthwhile. Which part of cosmetic science do you find the most interesting? Definitely the ingredients. There’s just thousands of them and each single raw material performs and interacts differently with the skin. There’s so much innovation in this field and there are some truly remarkable scientists who create these materials. The skin is our biggest organ and we’re continuously discovering new things about it. For example, we’re just learning about the positive and negative effects of blue-light from devices on the skin – something nobody had a clue about however many years ago! Did you have the opportunity to do any work placements or have industry experience during the course? "I decided to do the optional placement year and I can’t recommend it enough to others. Although you’re desperate to finish your degree and start earning real money, it’s a chance to cram in as much experience as you can." Yes – I decided to do the optional placement year and I can’t recommend it enough to others. Although you’re desperate to finish your degree and start earning real money, it’s a chance to cram in as much experience as you can. My placement was working in the lab for a year, which gave me a massive advantage when I went on to secure a job after university. I also used this time wisely and did other internships at Good Housekeeping magazine and Beauty Mart. I even did a course in online marketing because I wanted to really make the most of my year off and maximise my CV to its full advantage. Can you tell us a bit more about your current role? I’m an Account Manager at an ingredient supplier called IMCD, where we source exotic cosmetic ingredients from around the world and sell these into every cosmetic brand imaginable. One of my favourite parts of the role is that I get a first look at the latest ingredient launches, whilst receiving in-depth training on various scientific breakthroughs. I then travel all over the country meeting with brands and manufacturers, teaching them about our innovative ingredients. It’s quite rewarding when a customer selects your materials and go on to claim them as ‘hero’ ingredients across their packaging. Any other exciting projects you can tell us about? I’ve just been asked by the Royal Society of Chemistry if I would write a chapter in a new Cosmetic Science book they are publishing – very exciting! There’s so much negative press around cosmetic ingredients and I feel absolutely passionate about setting the record straight – most of the time, this negativity stems from influencers and celebrities, who sometimes have little scientific knowledge which is quite concerning. 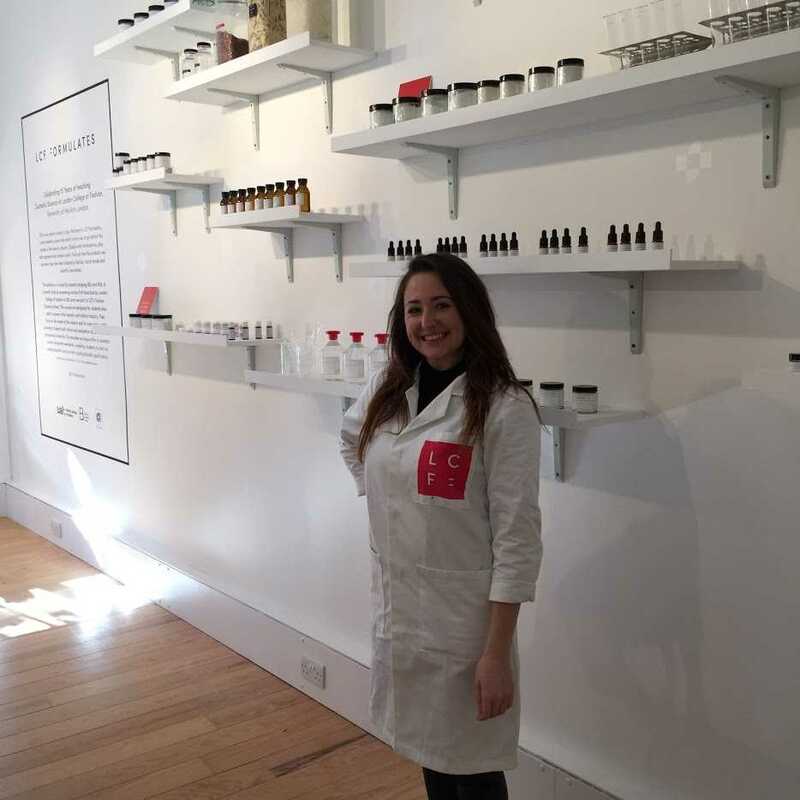 "There’s so much negative press around cosmetic ingredients and I feel absolutely passionate about setting the record straight"
I am also involved with the Society of Cosmetic Scientists as part of their publicity and recruitment committee. 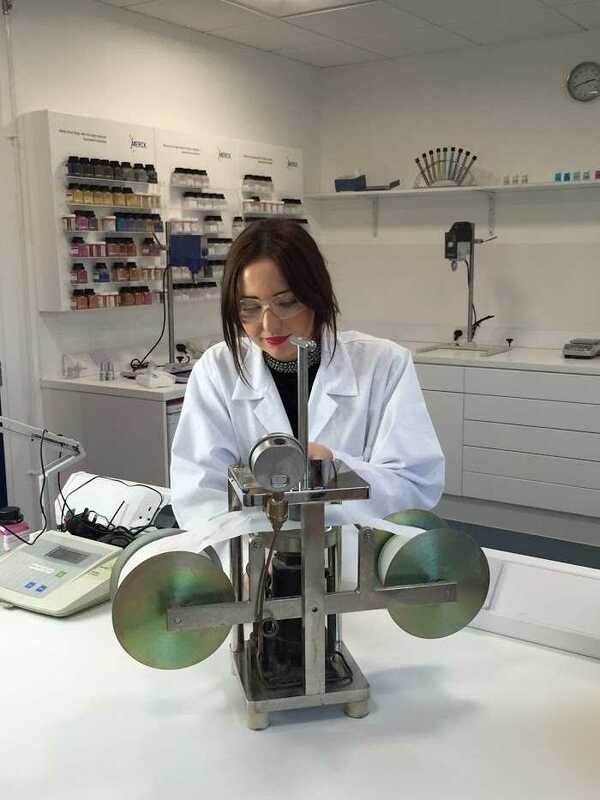 This is a highly recognised organisation within the cosmetic industry who run monthly scientific lectures and many other events such as the UK’s largest cosmetic trade show: SCS Formulate. What are your plans for the next few years? Where would you like to see yourself professionally? I’ve only just started a new job, so in a few years’ time I hope to be in the same role but be able to look after bigger accounts. I’ve spoken with my manager and the plan is for me to eventually progress into a regional technical role, which means I’ll be traveling across the world and visiting various labs to work on problem solving for large clients – helping to develop bespoke formulas and educating brands on more of the science behind the materials they use. Who knows what the future holds though? I would like to do more journalism and hopefully gain a small following where I can blog/vlog about cosmetic ingredients. Many alumni who took this course have ended up launching their own line of cosmetics. Is that something you would like to do? I always had a dream that I would start my own cosmetics brand and I guess somewhere in the back of my mind that little piece of hope is still holding on, but I’ve found that I’m moving up the corporate career ladder at a rapid rate which is nice to have some authority and responsibility. Starting a brand requires so much time, effort, money and sanity and it’s really at the bottom of my to-do list right now. What piece of advice would you give to those thinking of applying for the MSc Cosmetic Science? Try something that you don’t usually like – I went into lab work because I didn’t really enjoy it that much. Because of that, I can make any cosmetic from memory and that itself is a wonderful skill to have, plus I now enjoy it! Each year, a new university seem to be doing this course which proves how popular it is becoming, but for me, London is the place to be. Yes, it’s expensive, but there is support available and when you want something so badly you make it work. "...for me, London is the place to be. Yes, it’s expensive, but there is support available and when you want something so badly you make it work."